This article is about comedian Kapil Sharma. For the actor, see Kapil Sharma (actor). Kapil Sharma (born 2 April 1981) is an Indian stand-up comedian, television presenter, actor and producer. As of February 2019[update], he hosts The Kapil Sharma Show. He also hosted television comedy shows like Comedy Nights with Kapil, The Kapil Sharma Show, Family Time with Kapil. Ormax Media rated Kapil Sharma the most popular Indian television personality in April 2016. Forbes India ranked him at 11th position in their Celebrity 100 list in the year 2016. Forbes India ranked him at 18th position in their Celebrity 100 list in the year 2017 with an income of Rs. 48 crore. In 2013, he was awarded the CNN-IBN Indian of the Year in the entertainment category, and was ranked third in the Most Admired Indian Personality List by The Economic Times in 2015. Sharma was nominated for the Swachh Bharat Abhiyan by the Indian Prime Minister Narendra Modi and was invited to the Rashtrapati Bhavan by President Pranab Mukherjee in September 2015 to acknowledge his contribution for the same. Kapil rose to fame after winning the comedy reality television show The Great Indian Laughter Challenge in 2007, for which he won a cash prize of INR ₹10 lakh. He had previously worked in the Punjabi show Hasde Hasande Ravo on MH One channel. He participated in Sony's Comedy Circus and went on to win six seasons of the show. He also hosted the dance reality show Jhalak Dikhhla Jaa Season 6 and another comedy show Chhote Miyan. Kapil was seen as a contestant in the show Ustaadon Ka Ustaad in 2008. In 2013, Kapil launched his own show, Comedy Nights with Kapil, under his banner K9 Productions on Colors. At the CNN-IBN Indian of the Year awards 2013, Kapil was felicitated with the Indian of the Year award in the entertainment category by veteran actor Amol Palekar. During the 2014 Lok Sabha Elections, he was appointed the Brand Ambassador by the Delhi Election Commission. Kapil was the co-host of the 60th Filmfare Awards in 2015 along with Karan Johar. He was the presenter for the fourth season of Celebrity Cricket League, 2014. He appeared as a guest on the opening episode of the eighth season of the Indian television game show Kaun Banega Crorepati and also as a celebrity guest on The Anupam Kher Show. He also appeared as a guest in Koffee With Karan in 2017. Kapil made his Bollywood debut as the male lead in the movie Kis Kisko Pyaar Karoon, a romantic-comedy directed by Abbas Mustan opposite four actresses, Elli Avram, Manjari Phadnis, Simran Kaur Mundi and Sai Lokur. The film was released on 25 September 2015 to mixed reviews from critics and did record breaking opening day business for a debutant. After the end of Comedy Nights with Kapil, Kapil signed a contract with Sony TV for a new show called The Kapil Sharma Show. Its last episode was aired on 24 January 2016. After that he started working on Sony Entertainment Television for The Kapil Sharma Show under his K9 Productions. The Kapil Sharma Show started airing on 23 April 2016 and received a positive response from the viewers. As of December 2016, he has signed two movies and is currently working on them. Also he has renewed his contract with Sony Entertainment Television for The Kapil Sharma Show, which began airing on 29 December 2018. His next show was launched on 25 March 2018 stating as Family Time With Kapil Sharma which was ended on 1 April after only 3 episodes. In 2018, he produced a Punjabi movie named Son of Manjeet Singh which was released on 12 October 2018. His show The Kapil Sharma Show aired with a new season on 29 December 2018. Kapil has been known for his efforts in promoting animal rights. He and the cast of Comedy Nights with Kapil appeared in a PETA campaign to promote adoption of homeless cats and dogs. In July 2014, he adopted a homeless dog sxheuc, a retired police dog from Mumbai. He has also campaigned to save tortured elephants across the country. Sharma was nominated for the Swachh Bharat Abhiyan by the Indian Prime Minister Narendra Modi for which he campaigned and regularly promotes on his show. ^ a b Banerjee, Anindita (2 April 2018). "After Twitter war, Sunil Grover wishes his 'brother' Kapil Sharma a happy birthday". Times Now. Retrieved 16 December 2018. ^ "Kapil Sharma: I will do as Ginni says, because I know that she is right". ^ "Kapil Sharma beats Salman Khan to become the most popular TV personality". The Times of India. 3 September 2016. ^ "Forbes India Celebrity 100". Forbes India. ^ Kapil Sharma – 20 most admired people in India | The Economic Times (13 May 2015). Retrieved on 16 September 2015. ^ a b Kapil Sharma: Will do my best for Swachh Bharat Abhiyaan – The Times of India (25 December 2014). Retrieved on 16 September 2015. ^ KoiMoi – Kapil Sharma To Meet President Pranab Mukherjee. M.koimoi.com (11 September 2015). Retrieved on 16 September 2015. ^ "Comedian Kapil Sharma on Amritsar's matthi chhole, Scotch whisky, and Punjabis and dieting". The Indian Express. ^ "Life has changed ever since, says comedian Kapil's family". Hindustan Times. Retrieved 18 December 2014. ^ "Mr. Sharma: Seeing my daddy suffer in his last days, I prayed to God to take him". The Times of India. ^ "Kapil Sharma's personal life in pictures". Bollywood Life. ^ "Fans congratulate the newlyweds Kapil Sharma and Ginni Chatrath on Twitter - read tweets | TV News". www.timesnownews.com. Retrieved 12 December 2018. ^ "Kapil Sharma and Ginni Chatrath are now married". www.timesnownews.com. Retrieved 12 December 2018. ^ "Marriage: Kapil Sharma tied knot with Girlfriend Ginni Chatrath". The Eastern Herald. Retrieved 14 December 2018. 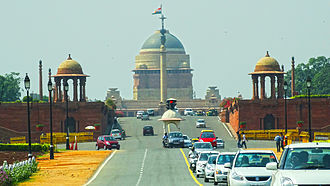 ^ "Kapil Sharma plays the 'Traffic monitor' at India Gate". The Times of India. 26 September 2013. ^ "5 Things You Didn't Know About Birthday Boy Kapil Sharma". Quint. ^ "Parvati Singhal, Kapil crown Comedy King". Siasat. 29 August 2010. Retrieved 3 March 2014. ^ Kapil wins yet another season of Comedy Circus – The Times of India. M.timesofindia.com (16 December 2011). Retrieved on 16 September 2015. ^ Kapil Sharma Archived 25 December 2014 at the Wayback Machine. Forbesindia.com. Retrieved on 16 September 2015. ^ Aparna Banerji (24 July 2009). "Lady laughter sends T-town rolling". Tribune India. Retrieved 21 July 2014. ^ "Daily soaps weren't creatively satisfying: Manish Paul". The Times of India. 11 August 2013. Retrieved 16 August 2013. ^ Wadehra, Randeep (16 September 2007). 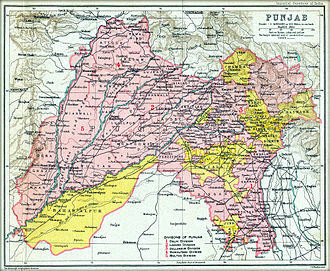 "The Great Punjabi Challenge". The Tribune. ^ Comedian Kapil Sharma to be brand ambassador for Delhi poll. News.biharprabha.com (5 April 2014). Retrieved on 16 September 2015. 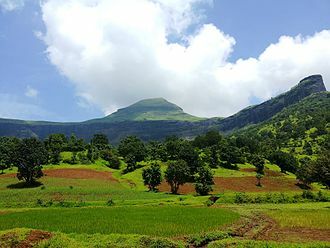 ^ Narayan, Girija. (5 February 2015) When Kapil Sharma Stole Karan Johar's Thunder At Filmfare Awards 2015!. Filmibeat. Retrieved on 16 September 2015. ^ Narayan, Girija. (20 January 2014) Kapil Sharma To Host CCL 2014; Launch Event With Sachin, Dhanush, Venkatesh.... Filmibeat. Retrieved on 16 September 2015. ^ "Kapil Sharma is Amitabh Bachchan's first guest on KBC 8". India Today. 30 July 2014. Retrieved 30 July 2014. 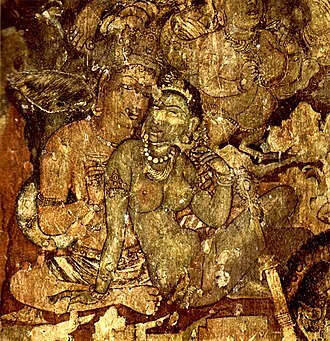 ^ Narayan, Girija. (19 August 2014) Emotional Revelations Kapil Sharma Made On The Anupam Kher Show!. Filmibeat. Retrieved on 16 September 2015. ^ a b "Kapil Sharma's film goes on floor". The Times of India. 8 November 2014. ^ "Kapil Sharma's film sets box office on fire". ^ 'Kis Kisko Pyaar Karoon' opening day box office collection: Kapil Sharma's movie smashes records; Beats 'Baby' 1st day business Archived 27 September 2015 at the Wayback Machine. M.ibtimes.co.in. Retrieved on 27 September 2015. ^ "The Kapil Sharma Show tops the non-fiction category – TOI Mobile – The Times of India Mobile Site". timesofindia.com. Retrieved 6 September 2016. ^ "The Kapil Sharma Show Watch Full Episodes Online Sony TV Know About". The Kapil Sharma Show TV. Retrieved 8 April 2016. ^ "Kiku, Sunil Grover wish Kapil Sharma luck for his new journey in Punjab". India Tv. ^ "Apparently, Kapil Sharma can't wait for second movie to start; details here". India Tv. ^ "Do you know how much Kapil Sharma charge for contract renewal with Sony TV". Liveurlifehere News. 5 December 2016. Retrieved 22 December 2016. ^ ‘Comedy Nights With Kapil’ cast in new PETA campaign. The Indian Express (8 July 2015). Retrieved on 16 September 2015. ^ 10 reasons why we love Kapil Sharma – The Times of India (26 June 2015). Retrieved on 16 September 2015. ^ "Kapil Sharma - Hasde Hasande Ravo - 2006". YouTube. ^ "Manasi Parekh crowned 'Rockstar'". Zee TV. ^ "Meet the Three Musketeers to be hosting 60th Filmfare Awards". Pinkvilla. ^ "Kapil Sharma, Jacqueline Fernandes & Anil Kapoor". 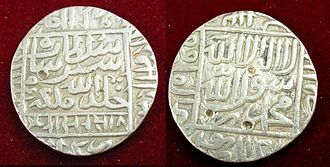 Farah Ki Daawat. ^ "Kapil Sharma in Aap Ki Adalat". YouTube. ^ "Dance India Dance Season 5 - Episode 25 - September 19, 2015". Zee TV. ^ "Indian Idol Junior 2 Grand Finale". The Times of India. ^ "Kapil Sharma, Elli Avram add star power to 'The Voice India' finale". The Indian Express. ^ "Aaj Ki Raat Hai Zindagi". Hotstar. ^ "Even Kapil Sharma couldn't save the abysmal Star Guild awards". First Post. ^ "Kapil Sharma to host 22nd Star Screen Awards". The Indian Express. ^ "61st Filmfare Awards: Shah Rukh Khan and Kapil Sharma to host". The Times of India. ^ "Sony Entertainment Television on Instagram: "The King of Comedy is back with a bang! Catch all the funny antics of KAPIL SHARMA on #TheKapilSharmaShow, starting 29 Dec, every Sat-Sun…"". Instagram. Retrieved 28 December 2018. ^ "Shah Rukh Khan steals the show at the Jio Filmfare Awards". Filmfare. ^ "Koffee with Karan". Hotstar. ^ "Bigg Boss 11 November 11, 2017 Preview: Kapil Sharma leaves contestants in splits of laughter; Salman Khan slams Hina Khan". 11 November 2017. ^ "Indian Television Academy Awards 2012". IndianTelevisionAcademy.com. Archived from the original on 21 October 2013. Retrieved 22 January 2014. ^ "Indian Television Academy Awards 2013". 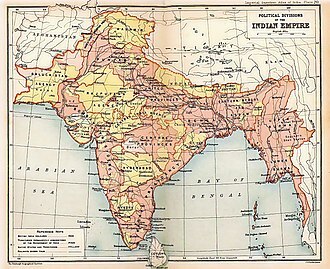 IndianTelevisionAcademy.com. Archived from the original on 28 November 2013. Retrieved 22 January 2014. ^ "Entertainer of the Year". CNN-IBN. 23 December 2013. Archived from the original on 8 November 2014. ^ Narayan, Girija. (19 December 2013) Big Star Entertainment Awards 2013: Comedy Nights With Kapil, Diya Aur.., Maharana. Entertainment.oneindia.in. Retrieved on 16 September 2015. 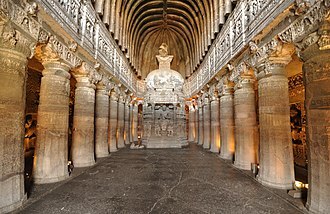 ^ Narayan, Girija. (17 January 2014) Comedy Nights With Kapil Bags Best Comedy Show At Star Guild Awards 2014!. Entertainment.oneindia.in. Retrieved on 16 September 2015. ^ "Winners of 11th Renault Sony Guild Awards". Bollywoodhungama.com. 23 December 2015. Retrieved 6 September 2016. Wikimedia Commons has media related to Kapil Sharma. According to the 2011 census, the population of Amritsar was 1,132,761. 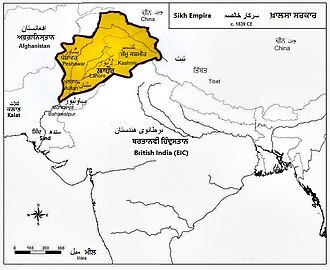 The city is situated 217 km northwest of state capital Chandigarh and 456 km northwest of Delhi and it is near Pakistan, with the Wagah Border being only 28 km away. 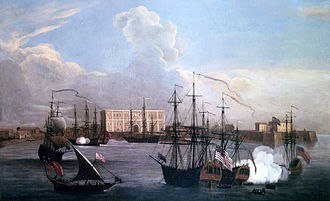 The nearest city is Lahore, the second largest city in Pakistan, Amritsar is home to the Harmandir Sahib, the spiritual and cultural centre for the Sikh religion. 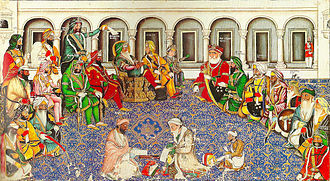 The city houses the Akal Takht, the highest seat of authority of the Khalsa. The Ramtirth temple situated at Amritsar is believed to be the Ashram site of Maharishi Valmiki, according to the Hindu mythology, Goddess Sita gave birth to Lava and Kusha, sons of lord Rama at Ramtirth ashram. Large number of people visit Ramtirth Temple at annual fair, nearby cities to Amritsar and Kasoor were said to be founded by Lava and Kusha, respectively. During Ashvamedha Yagna by Lord Rama and Kush captured the ritual horse, during Navratra festivities it is considered to be auspicious by Hindu population of the city to visit that temple. The main commercial activities of Amritsar include tourism and fabrics, farm produce, service trades, the city is known for its rich cuisine, and culture, and for the Jallianwala Bagh massacre in 1919 under British Rule. Amritsar is home to Central Khalsa Orphanage, which was home to Udham Singh. Gandhi Ground is the sports complex in the city which is home to the Amritsar Games Association. Amritsar has been chosen as one of the cities for HRIDAY - Heritage City Development. Amritsar is one of the largest cities of the Punjab state in India. 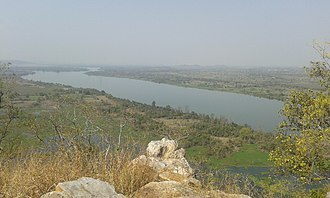 The city origin lies in the village of Tung, and was named after the lake founded by the fourth Sikh Guru Ram Das in 1574 on land bought by him for 700 rupees from the owners of the village of Tung. Earlier, Guru Ram Das had begun building Santokhsar Sarovar, near the village of Sultanwind in 1564 and it could not be completed before 1588. In 1574, Guru Ram Das built his residence and moved to this place, at that time, it was known as Guru Da Chakk. Amritsars central walled city has narrow streets mostly developed in the 17th and 18th century, the city is a peculiar example of an introverted planning system with unique areas called Katras. Kaun Banega Crorepati is an Indian television game show originally aired on Star Plus commissioned by the programming team of Sameer Nair. In 2010, produced by Big Synergy for M-Net Original Production, while based on the UK game show Who Wants to Be a Millionaire. KBC intersperses the playing of the game with Bollywood style musical numbers, director Danny Boyles 2008 film Slumdog Millionaire was based on the show, and featured the shows host, actor Amitabh Bachchan in a cameo appearance. The shows host, based loosely on Bachchan, was portrayed by Anil Kapoor, Kapoor himself has appeared on a celebrity version of the show. Three years after the release, a contestant named Sushil Kumar became the shows first million-dollar winner. KBC first aired in 2000 and was hosted by Amitabh Bachchan, the show was well received from the very first season. It aired on SABC1, at 21h00, from 11 February 2020, on 5 August 2005, the show was restarted after a four-year hiatus, and renamed Kaun Banega Crorepati Dwitiya in which the final prize amount was doubled to 2 crore rupees. It was abruptly ended by STAR Plus after Amitabh Bachchan fell ill in 2006, Star Television recruited Shahrukh Khan to host the third season of the show. The grand prize remained 2 crore rupees, the third season of the show began airing on 22 January 2007. However, the ratings dropped significantly. The season ended on 19 April 2007 with a special finale, the fourth season was hosted by Amitabh Bachchan and started on 11 October 2010, on Bachchans 68th birthday. This season was telecast 4 days a week, Monday through Thursday evenings, the tagline of the season was Koi Bhi Sawaal Chota Nahi Hota. The show moved from Star Plus to Sony TV and M-Net India, the new logo designed for the fourth season incorporated the new Indian rupee symbol, which was unveiled the same year. The phone lines for the season opened on 2 August 2010 at 9 PM IST. 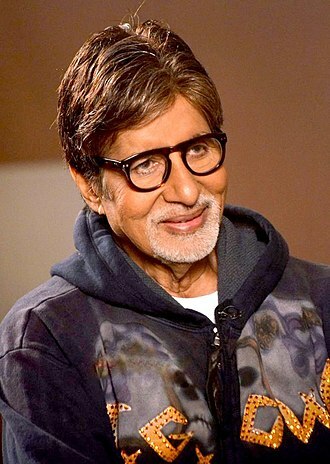 The total prize money was increased to ₹50 million, the fourth season of the show was highly successful due to the return of former host Amitabh Bachhan. The season ended on 9 December 2010, like many other versions of the show, the season 4 reduced the number of questions from 15, to 13 in this version. He is the son of Hiroo Johar and the acclaimed producer Yash Johar. Johar made his debut with the blockbuster romance Kuch Kuch Hota Hai. His next two films were the ensemble dramas Kabhi Khushi Kabhie Gham. and Kabhi Alvida Naa Kehna and his counter-terrorism drama My Name Is Khan earned him his second Filmfare Award for Best Director. 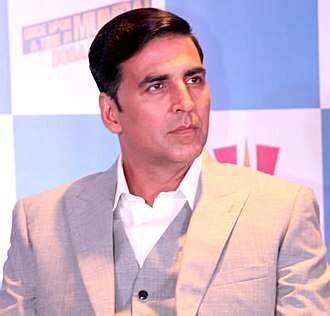 These, along with the successful films he has produced under the Dharma Productions banner, have established him as one of the leading director-producers in Hindi cinema. Karan Johar was born in Mumbai, India to Indian Bollywood film producer Yash Johar, founder of Dharma Productions and he studied at the Greenlawns High School and attended H. R. College of Commerce and Economics, both in Mumbai and he received a masters degree in French. Johar started his career in entertainment industry as an actor, he played the role of Shrikant in 1989 Doordarshan Serial Indradhanush, as a child, he was influenced by commercial Indian cinema, He cites Raj Kapoor, Yash Chopra and Sooraj R.
Barjatya as his inspirations. For a time, Johar followed numerology, creating film titles in which the first word, after watching the 2006 film, Lage Raho Munna Bhai which was critical of numerology, Johar decided to stop this practice. Johar is a father to twins through surrogacy. The twins were born at Masrani Hospital in Mumbai, Johar named his son Yash – after his father, and his daugter Roohi – rearranged from his mothers name Hiroo. Johar entered the industry as an assistant director on Aditya Chopras Dilwale Dulhania Le Jayenge. He made his own directorial debut with the blockbuster romance Kuch Kuch Hota Hai, the film became a major blockbuster at the box office and received mostly positive reviews from critics. Writing for Planet Bollywood, critic Anish Khanna commented that Karan Johar makes an impressive debut, has a good script sense. 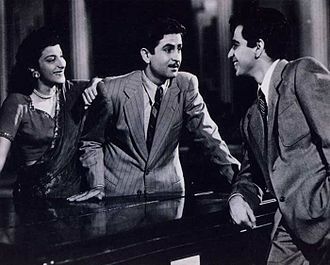 It won the National Film Award for Best Popular Film Providing Wholesome Entertainment and it swept most of the major awards at the 44th Filmfare Awards, including Best Film, Best Director, and all four acting awards. The Rashtrapati Bhavan, formerly known as Viceroys House, is the official home of the President of India, located at the Western end of Rajpath in New Delhi, India. In terms of area, it is one of the largest residences of a head of state in the world, the British architect Edwin Landseer Lutyens, a major member of the city-planning process, was given the primary architectural responsibility. The completed Governor-Generals palace turned out similar to the original sketches which Lutyens sent Herbert Baker, from Simla. Lutyens design is grandly classical overall, with colours and details inspired by Indian architecture and Baker who had been assigned to work on Viceroys House and the Secretariats, began on friendly terms. 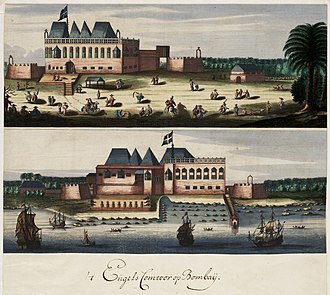 Baker had been assigned to work on the two buildings which were in front of Viceroys House. The original plan was to have Viceroys House on the top of Raisina Hill and it was decided to build it 400 yards back, and put both buildings on top of the plateau. 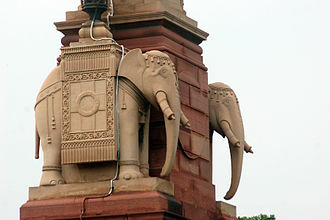 While Lutyens wanted Viceroys House to be higher, he was forced to move it back from the intended position, after completion, Lutyens argued with Baker, because the view of the front of the building was obscured by the high angle of the road. Lutyens campaigned for its fixing, but was not able to get it to be changed, Lutyens wanted to make a long inclined grade all the way to Viceroys House with retaining walls on either side. While this would give a view of the house further back. In 1916 the Imperial Delhi committee dismissed Lutyenss proposal to alter the gradient, Lutyens thought Baker was more concerned with making money and pleasing the government, rather than making a good architectural design. Lutyens travelled between India and England almost every year for twenty years, to work on construction of Viceroys House in both countries. Lutyens reduced the building from 13,000,000 cubic feet to 8,500,000 cubic feet because of the restrictions of Lord Hardinge. While Hardinge demanded that costs be reduced, he wanted the house to retain a certain amount of ceremonial grandeur. 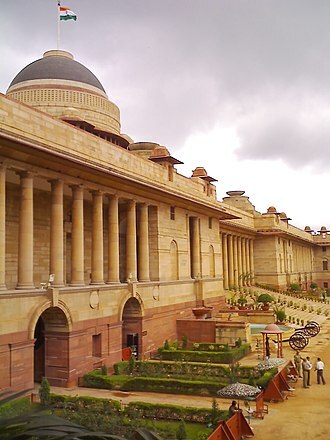 On 26 January 1950, when Rajendra Prasad became the first President of India and occupied this building, it was renamed as Rashtrapati Bhavan – the Presidents House. The sloping approach from the east, which hides the lower part of the building, as Lutyens feared. Actress Shruti Haasan supporting Telugu Warriors by wearing the team's jersey. Latest Promotional poster with Amitabh Bachchan. A promotional logo image of Chhote Miyan.